New Delhi : A stable and predictable market environment is essential for those companies that are looking to invest in research and development (R&D) and manufacturing in the medical device industry in India, the US-India Business Council (USIBC) said. This issue, among others, came up for discussion at meetings of the USIBC’s Medical Device Trade Mission here. Given the unmet medical need in India, there are “grand possibilities” for greater FDI into India in the medical device sector, USIBC said in a statement. 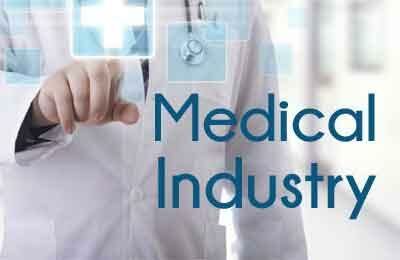 It has highlighted short-term policy measures to unlock the sector’s potential, including creation of a strong and independent medical technology regulatory body and adoption of internationally harmonised standards (like labeling requirements) in close coordination with all stakeholders including clinicians, regulators, industry bodies and MNCs. The delegation’s long-term recommendations centered on expansion of healthcare coverage in India and tax incentives to promote manufacturing, it added. “while this decision is not likely to reduce the overall cost of healthcare for patients, it will impact innovation and availability of new technology, and have the unintended effect of causing uncertainty for medical device investors,” it said. “We look forward to working with them to develop a viable road map towards that goal. While mandates like price controls are likely to hamper investment, the industry is poised to provide other win-win solutions to grow the sector while providing for patient affordability,” it said quoting Nanavanty.